Best diaper deals from all the Major Stores. Coupons.com – Dozens of printable name brand coupons. New coupons added often. 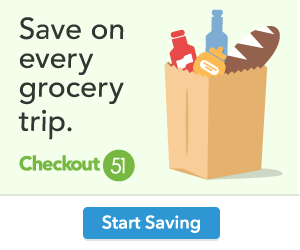 CoolSavings – Save big with printable grocery coupons and free samples. Desitin – Free printable $1 off Desitin coupon. Earth’s Best Baby Organic – Several printable Earth’s Best Baby coupons. Gerber Good Start – Free backpack with coupons and samples. Print and redeem certificate at the hospital when your baby is born. Gerber Childrenswear – Printable Gerber Childrenswear coupons. Johnson’s Baby – Printable Johnson’s Baby coupon for $2 off any two Johnsons Bedtime products. Little Remedies – Printable Coupon for $1 off one Little Remedies product. Luvs – Postal mail Luvs coupon for $1 off. Pampers Gifts to Grow Rewards Join Pampers Gifts to Grow Rewards program and receive 100 free points toward your purchase of Pampers goods. Pampers Kandoo – Request a postal mail coupon for $1 off any Pampers Kandoo product. Similac StrongMoms Club – Sign up for Similac savings. SmartSource – Dozens of free Printable Coupon s for grocery, baby and more. Sprout Baby Food – Print a coupon for Sprout Baby Food. Link is in the upper right corner of the page. Register with Planning Family for FREE baby offers, samples, coupons, health information and so much more!